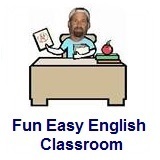 ﻿ Fun Easy English - new classroom free online classes english language lessons speaking listening writing reading november 2. 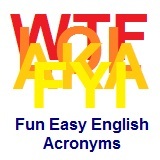 Today in the classroom you are going to learn American English standard acronyms beginning with the letter I.
IKYABWAI I Know You Are But What Am I? IMEZRU I Am Easy, Are You? IMRU I Am, Are You? INNW If Not Now When?